Beth Villalpando is Director of Marketing for North America, specifically focused on Distribution and the National Solution Provider business. She is responsible for ensuring the creation and execution of collaborative marketing programs that align to the strategic objectives of distribution and national service provider (NSP) partners. Prior to her current role, Beth was responsible for the go-to-market strategy and execution of Dell's distribution business in which she secured rapid, high double-digit growth year after year. 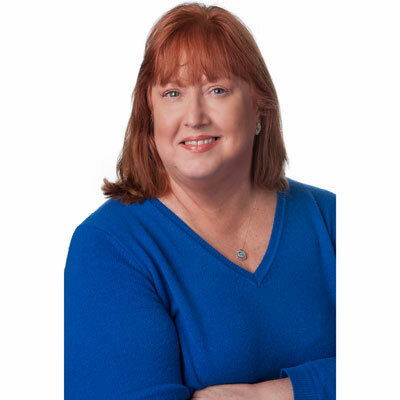 Beth brings more than 36 years of IT channel experience to her current role after spending much of her career at IBM, a solution provider reseller and Compaq/HP. She has been with Dell EMC for nine years. Over the last year, my team has focused on merging Dell and EMC's partner programs. I have collaborated with our distribution and NSP partners, who were important to both Dell and EMC separately, to ensure they have the tools they need to transform their business and explore new opportunities under the Dell EMC banner. Overall, channel revenue growth is up by high, double-digits and our channel business is growing significantly faster than the overall market. Our channel partners and distributors are a priority to Dell EMC's growth strategy. Dell EMC, along with our channel partners, will enable customers to transform their businesses. My priority over the next year is to help our distribution and NSP partners identify and capture new business opportunities by improving our partner resources and tools. Over the past year, we've been honored by our partners who have recognized Dell EMC's dedication to their business. Our distribution sales and marketing team were awarded Vendor of the Year for SMB by Ingram Micro. Our NSP sales team also won multiple awards this year from the NSP partners. A friend of mine lost her husband in a tragic accident, forcing her to become the sole financial provider in her family. She then learned a good friend of hers had cancer and she stepped in to help, assisting the extended family through their grieving process and becoming a surrogate parent to her friend's three young children. She did so while managing her career and a new life without her husband. I admire her ability to move forward after tragedy. She is an amazing woman, and I'm so blessed to learn by her example. To be honest, I'd probably tell my 16-year-old self to not rush to work full time. I would have told myself to enjoy high school and play more, because there are a lot of decades of work ahead. There are always new things I want to learn, skills I'd like to acquire or polish. I'd like to be a more effective communicator, be better at time management, and learn how to create Powerpoint slides that look more like my 14-year-old's graphic presentations. Sheryl Sandberg's book, "Option B: Facing Adversity, Building Resilience, and Finding Joy" was the best book I read this year. I also had the benefit of hearing Sheryl deliver a keynote at this year's Texas Conference for Women in Austin. Listening to her discuss the stories behind her advice was inspiring, thought provoking and has stayed with me.